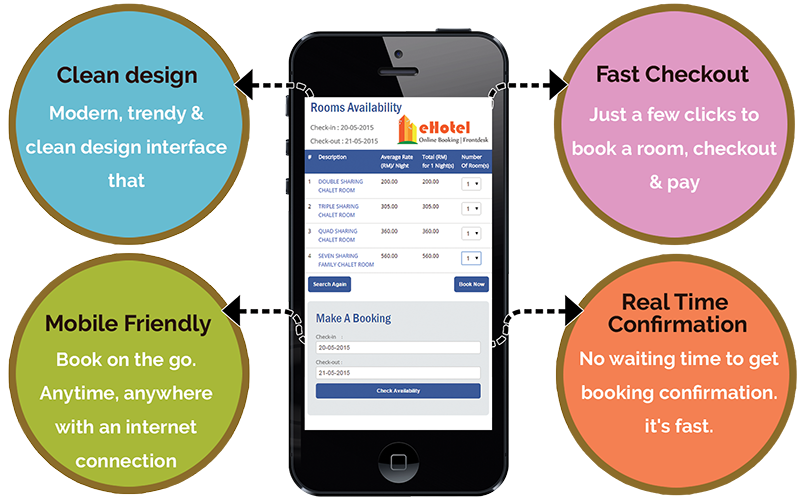 Your guests can check for room availability with their smartphone, anywhere, anytime, with just few simple clicks. Introducing the user friendly & simple, award winning eHotel software that lets your guests reserve hotel room easily, within few clicks. With the rapid growth in the travel industry and the boom in the internet, people all over the world have switched to the internet for all their transactions and services including making hotel or motel room reservations. Thus, all hotels, motels and other accommodation providers must embrace e-commerce and web technology or lose out to the competition!